Looking for a healthy homemade game day snack? Try my guacamole recipe! It taste so fresh & takes 10 mins to put together. Your guests will be so impressed! Cut the avocados in half & scoop the flesh into a bowl. Squeeze the lime juice over it. Mash the avocado with a fork until almost smooth. 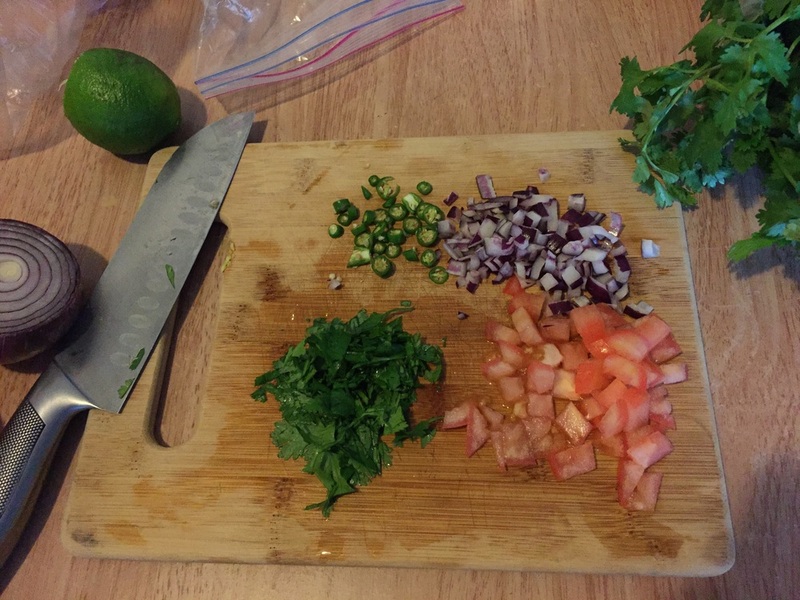 Dice the onion slice, the tomato slices, & the chili peppers, nd roughly chop the cilantro leaves. Mix all ingredients into the avocado mixture along with the salt. Serve with multigrain tortilla chips & enjoy!